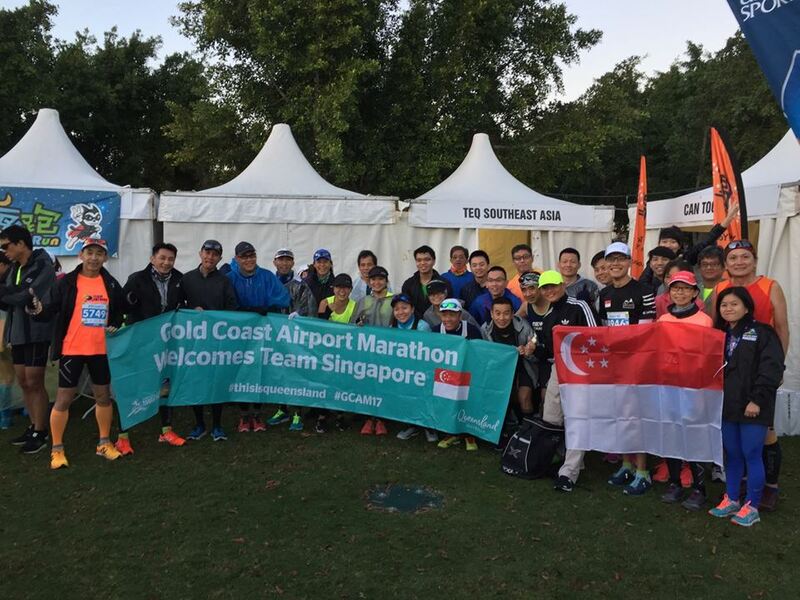 We started training and preparations for Gold Coast Airport Marathon (GCAM) in early April with the kick-off of the 12-week Operation Kookaburra, our signature training program for Singapore-based marathoners attempting GCAM Personal Bests (PB) and Boston Qualifiers (BQ). 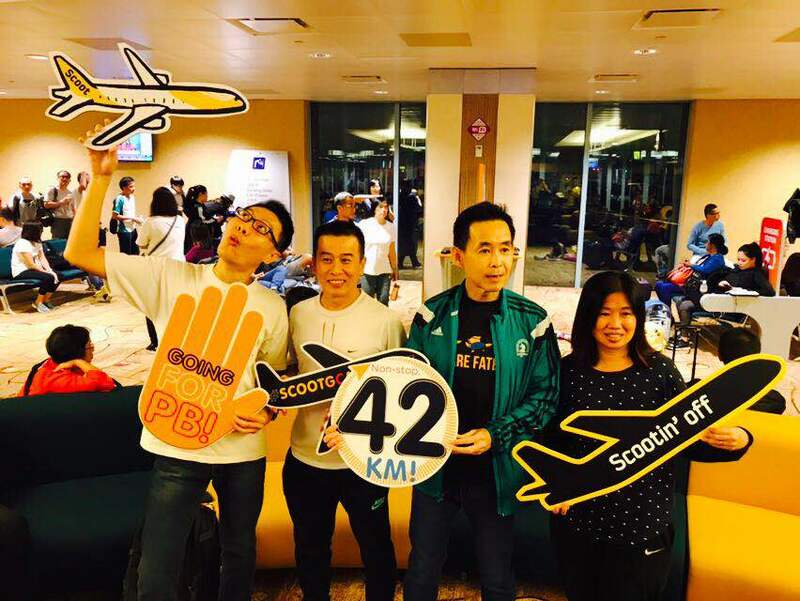 The first 40 who signed up for the Run Gold Coast package from Scenic Travel received the training for free as an incentive, while a few marathoners paid for training to prepare for other races in the June-Aug period. We had a good build up with lots of long basebuild, steady and pace runs to sufficiently condition our runners for their quests at GCAM17. It was nice to see a number of returning trainees coming back to better their GCAM performances from the past few years. 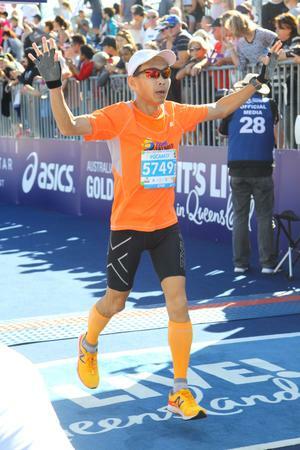 In addition to conducting the Kookaburra training, I was also signed up for GCAM17 marathon in a bid to secure my Boston ticket for 2018 – I had planned to revisit Boston Marathon after giving 2017’s edition a break (which I qualified for at GCAM16 with 3h24min). So, I had a dual mission of providing training to Kookaburras as well as getting in race-ready condition for a reasonable shot for PB at GCAM17. As I will ‘advance’ into a new age group in 2018, my qualifying criteria would be easier with an addition of 10min to 3h40min in the 55-59 age group. 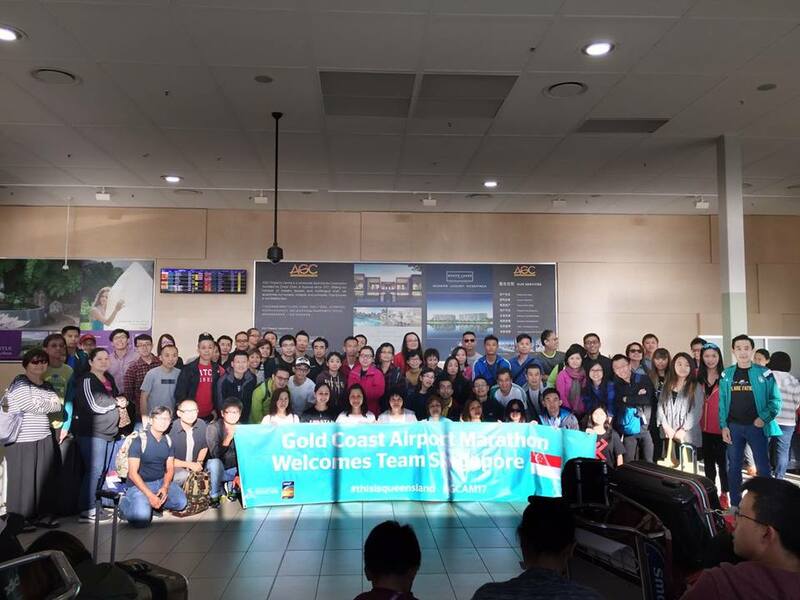 A pre-departure briefing was held to a large crowd of Singapore participants 3 weeks before we left for Gold Coast, including those who have signed up with Scenic Travel. 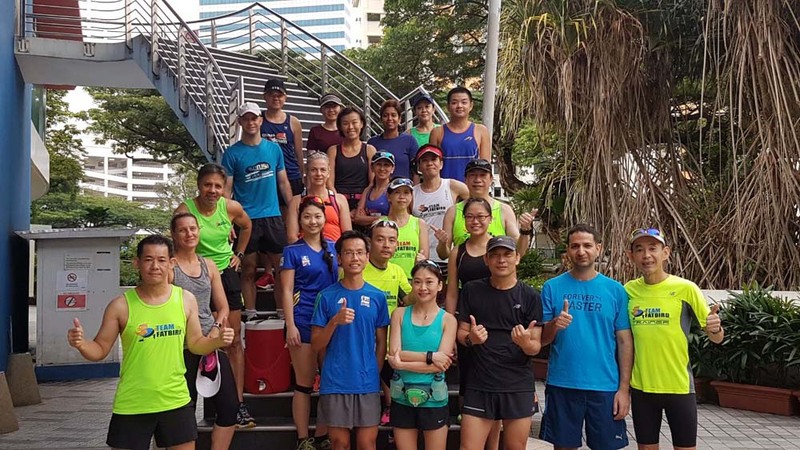 We gave the usual tips of what to prepare for cool-weather marathon-ing, and also invited a few who did not manage to get onto the Kookaburra training program to join us for our final Tapering runs. These participants benefited from that 1-2 runs and eventually did very well at GCAM17. After landing on Friday and doing brunch and shopping at Pacific Fair, picking up our race packs at the Race Expo, we were whisked to a smooth check in at the Mantra Legends. The Mantra is just a stone’s throw away from my past favourite Grand Chancellor (renamed to Novotel) and has an awesome breakfast spread to my liking. My room is comfortable and spacious, with even an oven, coking stove and utensils provided…nice! The team gathered for our customary carbo loading dinner at the Fables Restaurant in the hotel to a nice spread of seafood, Mexican and Asian delights. Carbo loading and indulgence had reached a new level. We retired early for the night to get in a shakeout run the next morning, before more carb loading at the Legends lunch. I piled on more protein of chicken and fish in addition to the few eggs for breakfast, to top the carbs that was loaded the night before. I must have gained 1-2kg after all the eating, which should give me ample firepower for Sunday’s race. 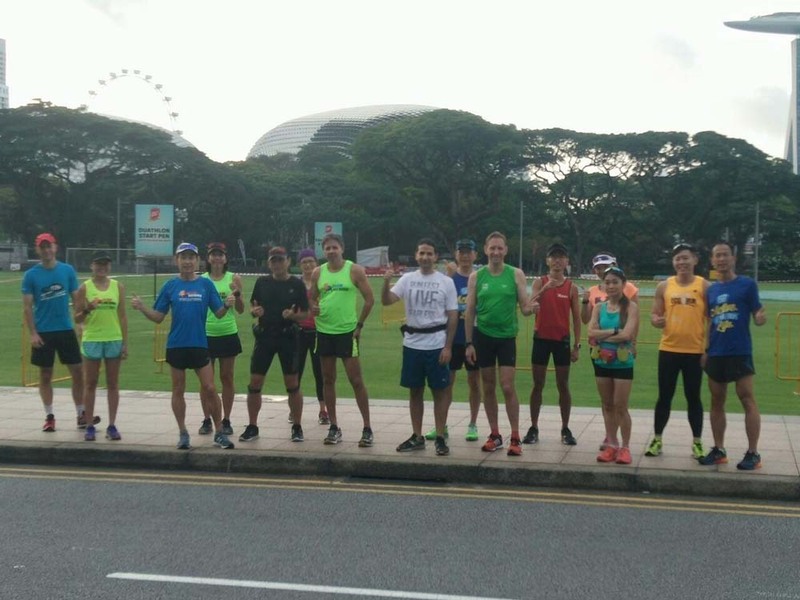 I organized a 5km shakeout run on Saturday for the runners in our team to have a feel for race weather conditions as well as to calm their nerves a little. 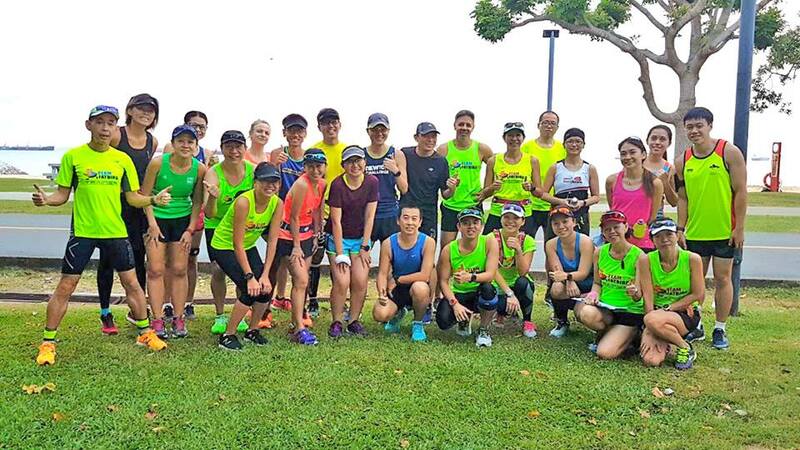 It was well attended by the enthusiastic bunch, many who were first time GCAM participants that have trained with Team FatBird and are looking to get their PBs and BQs here. We had a nice run along the Surfers Paradise beach front in comfortable weather, followed by a great breakfast spread back at the hotel. As usual, I haven’t been sleeping much for the past few nights due to the dry weather and ‘foreign bed’ syndrome. I wasn’t too worried as I have had sufficient rest back home before traveling for this race. I was carbo loading and fuel-ing right up to race morning according to plan. Just that this time I added much more protein in addition to the base carb-loading I had always been accustomed to. Although there were warnings of an impending cold draft on race day, we were fortunate to be blessed with the same marathon-conducive weather as previous years. The team gathered early and were transferred by coach to the race site before the flag off of the Half Marathon at 6:00am. 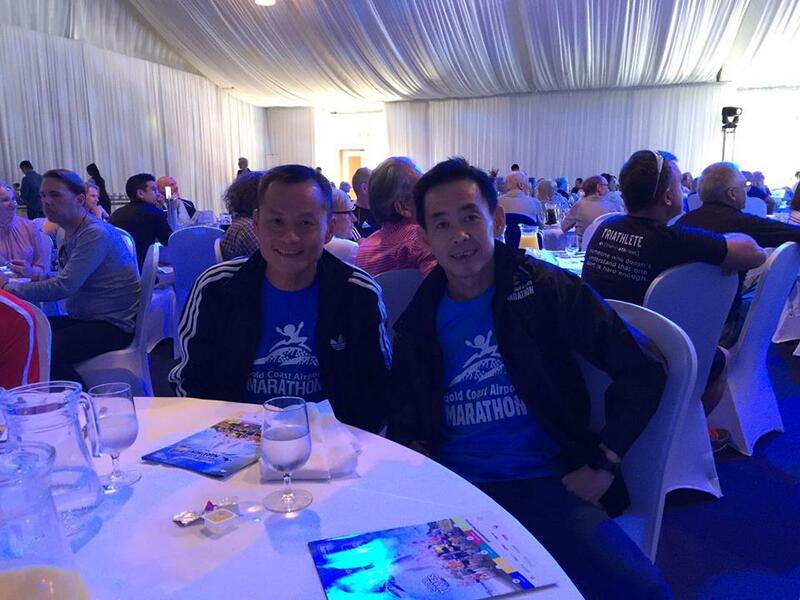 All the marathoners were huddled in the Tourism Events Queensland (TEQ) SEA tent for warmth and comfort, preparing for final top up of isotonic drinks and bananas. I did a light warm up and some strides just to get the engine lubricated sufficiently for a start at target race pace, which was 4:45min/km for a 3h20min goal. The few of us had planned to go with the Pacers at 3:10h (Carlos, Ren Gang), 3:20h (Anthony, Robin, Han Chee), 3:30h (Yian Soon) and 4:00h (Alice, Chee Peng, Kong soon, Daphne) with the rest adopting positions in the spacious pens just behind their respective Pacers. 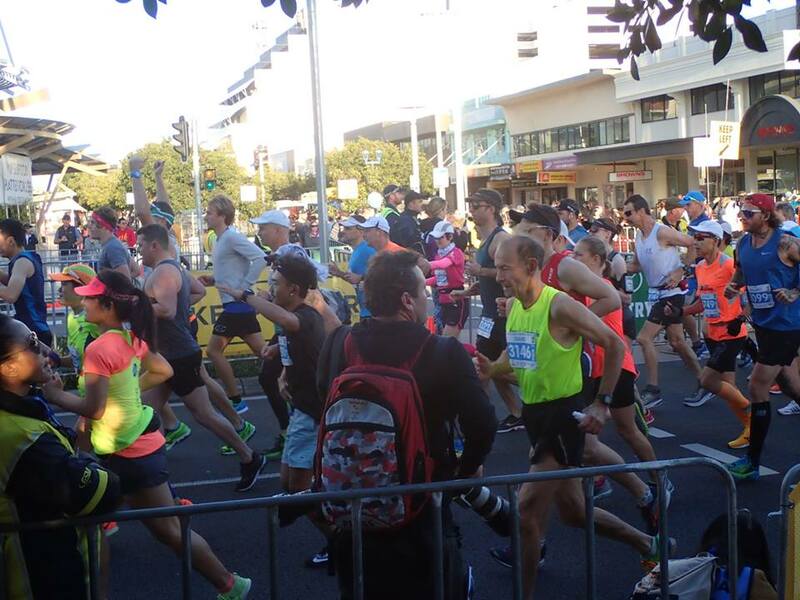 The marathon race was flagged off promptly at 7:20am after the Australian National Anthem. The start was a tad congested by some runners finding their paces and getting warmed up. It took about 1km to settle in and by then, the 3:20h Pacers which I was eyeing was ahead by 100m. I settled into 4:45 min/km pace before moving up to 4:40 min/km pace to close the gap with the Pacers. I found Han Chee slightly in front and signaled to him with a thumbs up. I passed and he ran slightly behind me for the next 20km before having to do a toilet break due to a bad stomach. Han Chee’s momentum was broken by a few more toilet stops subsequently, causing him to miss his BQ target. Meanwhile, I kept my sights on the 3:20h Pacers, who seemed to be running faster at 4:40 min/km pace instead of 4:45 min/km. Although I had only 2 hours of sleep the previous night, I felt sufficiently strong to maintain 4:40 min/km pace till I closed the gap with the Pacers at the 21km mid- point. 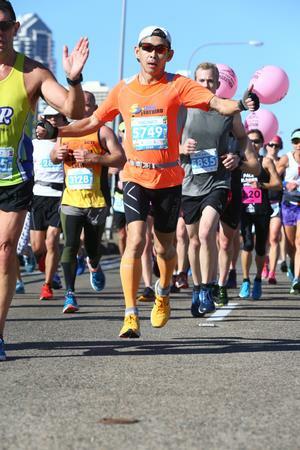 As always, the course was well supported with drinks and enthusiastic supporters out to cheer the runners with high-fives and shouts of encouragement. 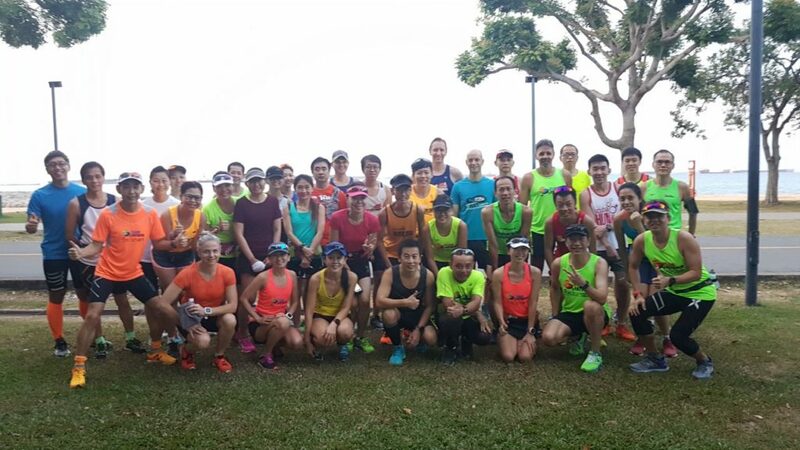 It is one of the distinctive highlights of the GCAM and why it is such a favourite with the record crowd of Singapore marathoners. 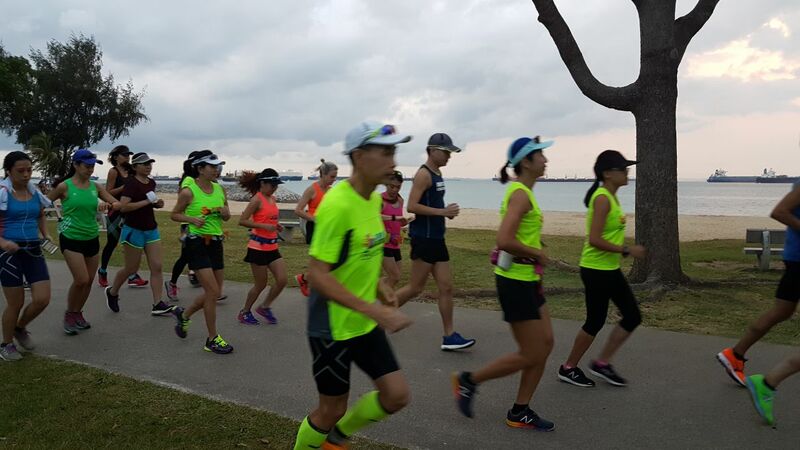 I saw a number of Singapore runners on both sides of the road along the way, including our national elite marathoner Ashley Liew who was looking blazingly good. With the sun beating down intensely, a number of runners were slowing slightly, including the Pacers to their targeted 4:45 min/km pace. I finally caught the Pacers at about the 28km mark before running alongside them for about 2km. I ingested gels and electrolytes according to plan and it seemed to keep the cramps away, and providing me sufficient energy to maintain pace. Although I could go to 4:35 min/km pace, I decided to play it safe and be happy with just doing 3:20h which would have been already a PB for me. 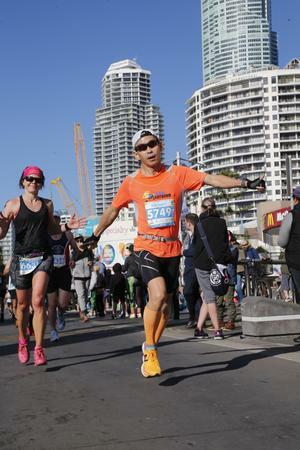 I was feeling good through to the return back to Southport at 31km before tackling the final 10-11km, which was the more challenging portion of the entire course. 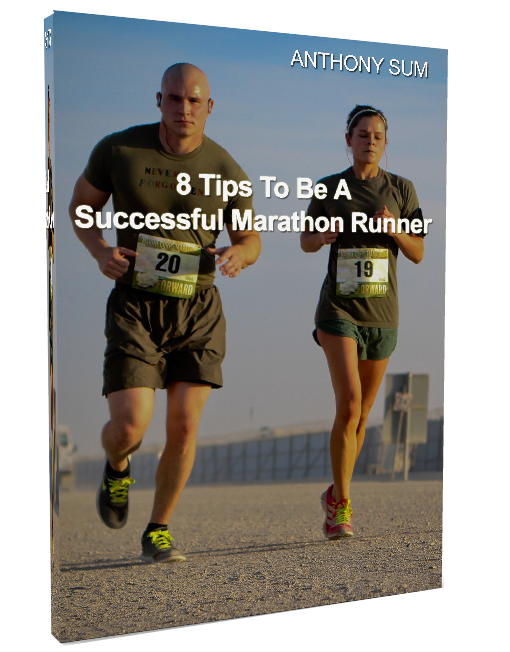 As we ran past the cheering MC and spectators, and leaving their voices in the distance, runners who had been pushing the pace were paying the price with cramps and dropping of speed. I felt strong and continued to overtake more runners before encountering some twitches at the toes and left feet at the 35km mark. I adjusted my stride slightly and slowed by 3-5s/km to let the twitches ease and it did help. I popped an extra electrolyte tab for the finishing stretch. A quick glance at my watch at the 40km mark showed that I was 2min below a 3h20min finish. 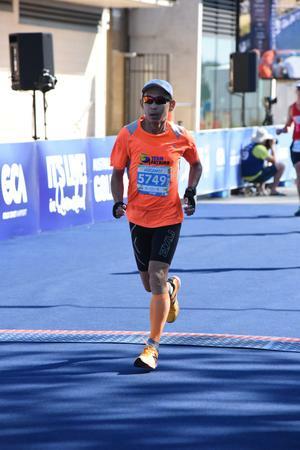 I was quietly confident of completing in 3:17 or 3:18, which would have been a good PB and the first time I went below 3:20h in any marathon race. The final 1km was exciting with all the cheers from the crowd, and at the turn with 250m remaining, I ran tall and proud with long strides to clear the finish in 3h 18min 08sec nett time. I was happy with how I ran the race, especially with a negative split of about 1min (1:39h for the first half) and (1:38h for the final half). The pace was also pretty consistent throughout the 42km. 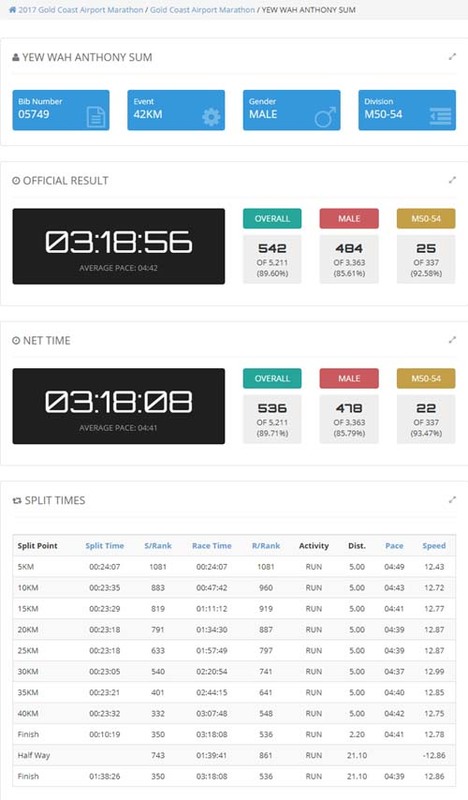 This is a marathon Personal Best of more than 6min from my GCAM16’s timing of 3:24:28, and also qualifies me for Boston Marathon by more than 20min – I needed 3:40h for Boston Marathon 2018 as I move into a new age group of 55-59. I met Robin at the finish who did a massive Personal Best of 3h17min. Carlos did an outstanding 3h05min and Ren Gang (the China Kookaburra who did 3h11min) to qualify for Boston 2018 and we were already discussing plans to attend Boston together. Yian Soon also BQed with a 3h39min timing. 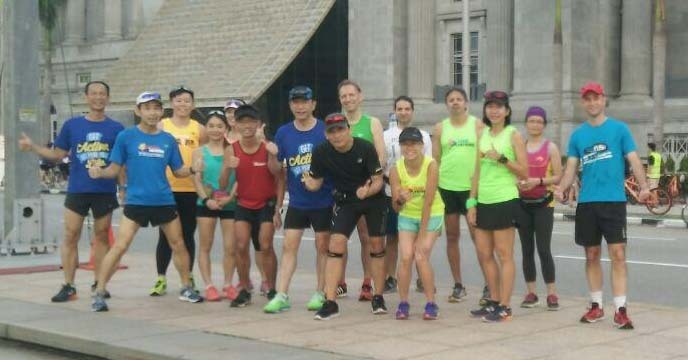 85% of the Fatbirds (Alice, Daphne, Chee Peng, Nelson, Josephine) and Kookaburas (Linda, Mong Teng) just to name a few achieved PBs, with many shaving off massive timings of 20-30min or more from their previous bests. 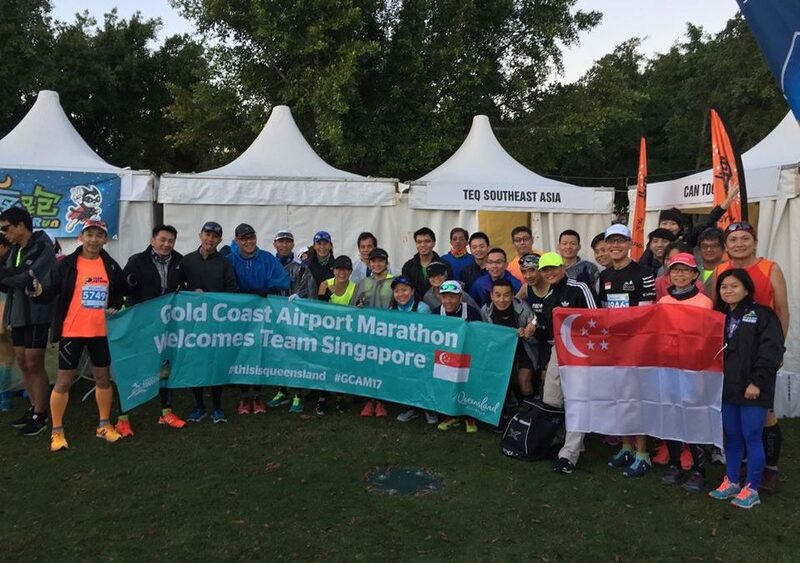 Such was what a good course and conducive weather can do for marathon timings, and GCAM has always been able to deliver where it matter. This year also saw a breast to the tape by a Japanese newcomer, Takuya Noguchi, who unseated defending Champion Mungara with a strong kick at the final 250m bend for an exciting finish. 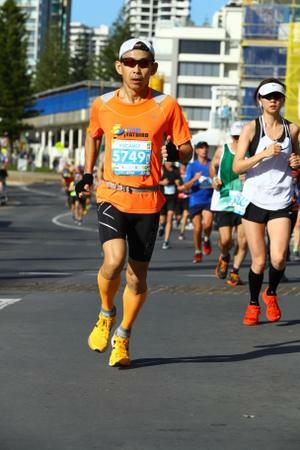 Marathon idol Yuki Kawauchi finished in a close 3rd with a strong 2:09 timing. 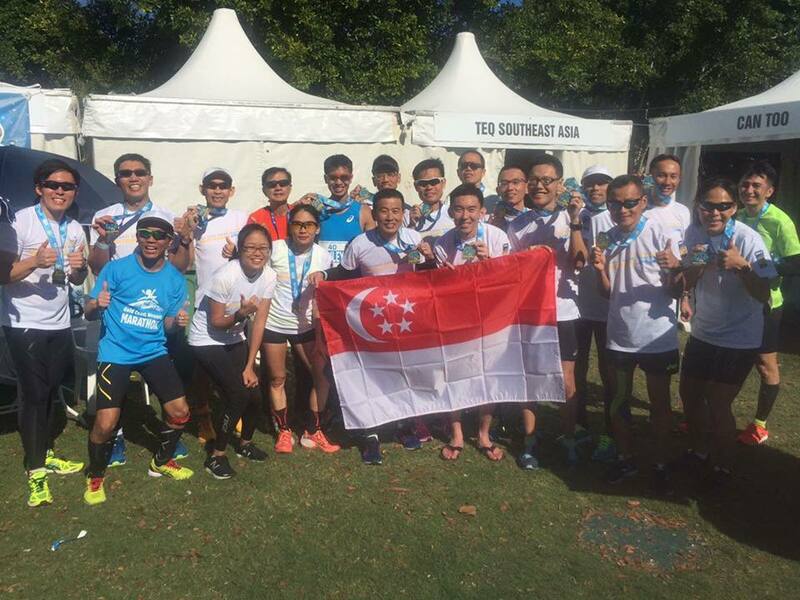 The mood at the TEQ SEA tent was celebratory with many happy FatBirds, Kookaburras and Team Singapore marathoners who traveled together with Scenic Travel. 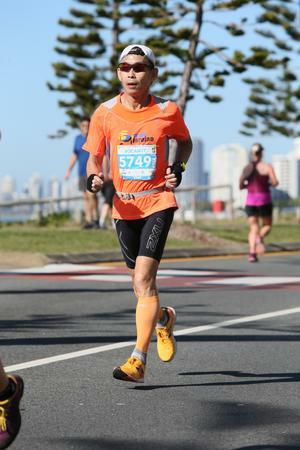 We would like to thank the GCAM organizers for executing another immaculate race, Stella and Khim from Tourism Queensland who were supportive throughout, and Scenic Travel staff (Shem and Janet) for always being there to meet all the runners’ needs and to ensure that our races went without any hitches. A shout out and kudos to all of them for making our GCAM race a golden and memorable one. We will surely be back for GCAM 2018 with even more participants from Singapore. Run Kookaburras, Run Kookaburras, Gold Our Race Has Been! Into the final fortnight of the Gold Coast Airport Marathon (GCAM) 2017, the Kookaburras gathered along with the PowerFLIGHT trainees for their 18km and 28km Group Long Run @ Optimal Race Pace. The weather in the morning was cloudy, albeit still humid, typical of the SIngapore weather in mid year. 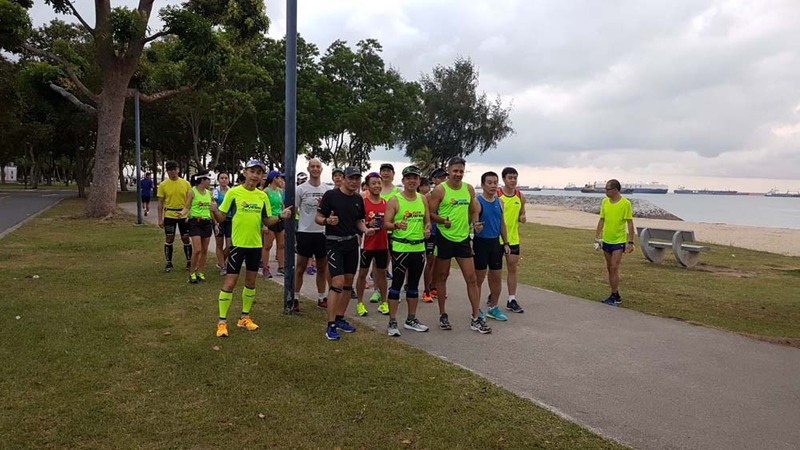 The Kookaburras were all motivated to put in their final long run at goal marathon pace, and to test out their race apparel, shoes and in-race hydration and nutrition plans. The brief to all participants was to run at their respective Optimal Race Pace (Goal Race Pace less 7secs) for as much of the prescribed distance as they could sustain their pace for, It would be a trial of sorts to evaluate their readiness to hit their target race paces in more stringent weather conditions than in cooler and less humid Gold Coast weather. Most of the Kookaburras did well to complete their required distances within average Optimal Pace, although a few still started to fast in the beginning and started to fade after 3/4 of the distance. Overall, all trainees managed to complete their 18km (HM) and 28 km (FM) within regulation time. 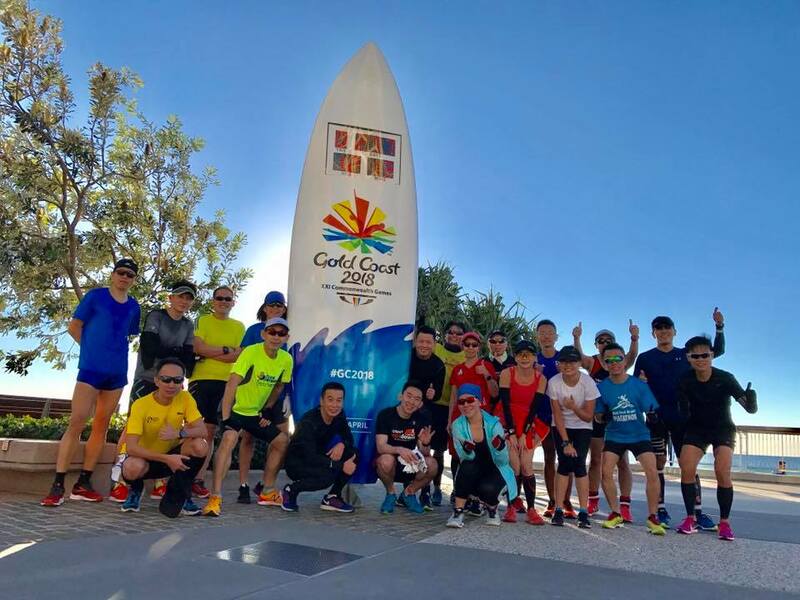 Over post-run isotonic drinks and bananas, the GCAM-bound runners were given a final brief and advice on tapering and preparations for a good marathon in cool weather conditions at Gold Coast on July 2. We are expecting to see a number of good showing for the Kookaburras at GCAM17, with lots of Personal Bests and a couple of Boston Qualifiers if race day conditions are great. The Kookaburras Are Ready To Fly High At GCAM! 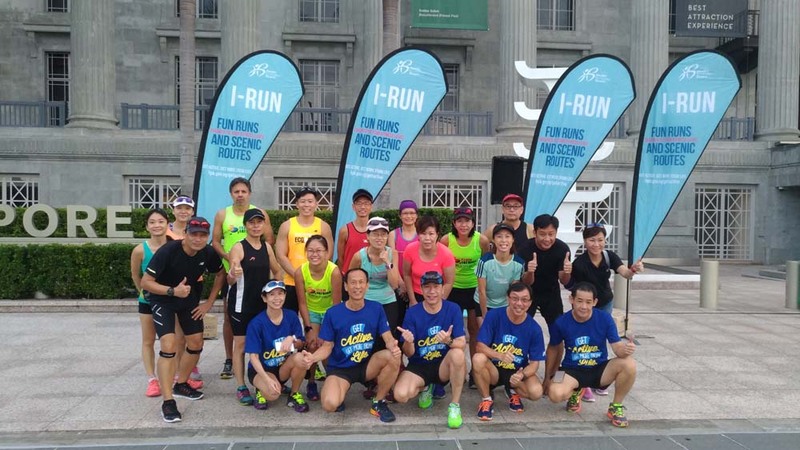 The CarFreeSundaySG closed roads in the heart of the City Centre provided a good training opportunity for the PowerFLIGHT and invited Ops Kookaburra trainees to do 5km Long Tempo Run training. The participants gathered at 7:00am in front of National Art Gallery/City Hall. 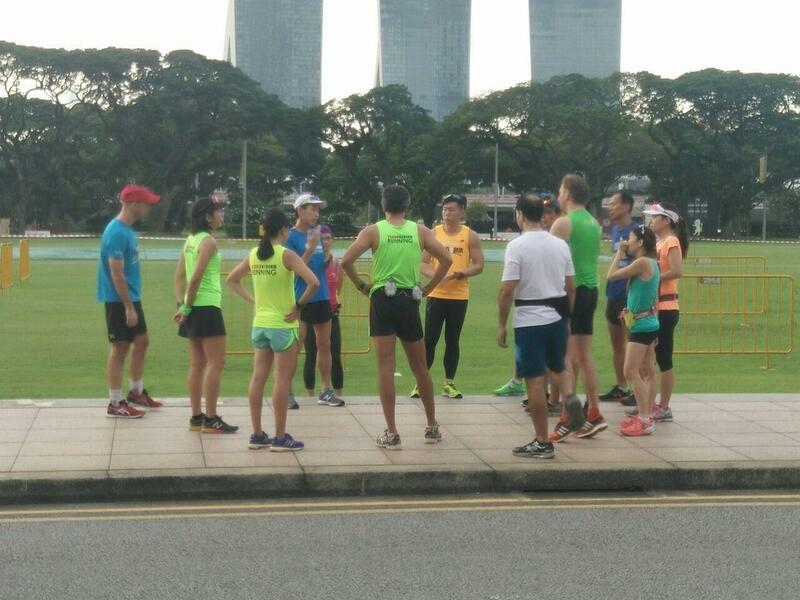 After a quick brief, the respective timing groups set off to run around the Padang, Shenton Way, Robinson Road, Telok Ayer Street and back to NAC for a loop of 5km. 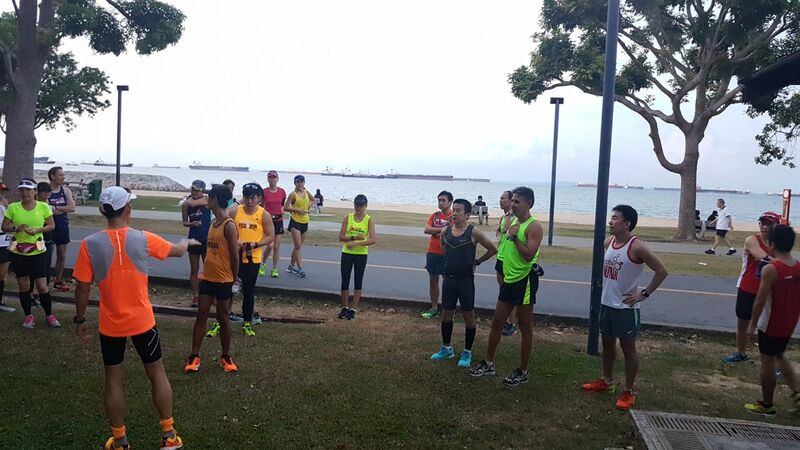 The first two 5km sets were completed at Marathon Pace (MP) while the 3rd and 4th sets were run at Optimal Pace (OP) to condition for a fast-finish long run. . Rest interval of 1-2min with mineral water/isotonic drinks replenishment in between each 5km set. The weather was very humid although it was cloudy for the first 3 sets of our run. Still, the respective training groups did very well to complete within their targets. The training session was made more interesting with the concurrent family activities and a mini duathlon race happening alongside our workout. 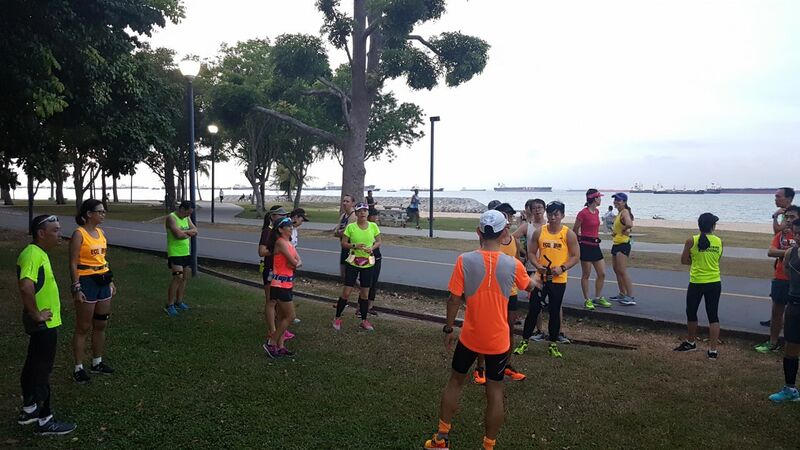 When we completed our training session by 9:30pm, the sun’s rays were peeking down on the satisfied PowerFLIGHT and Kookaburra runners who were already done with their cool-down stretches and heading for home. A satisfying PowerFLIGHT Tempo Interval Sunday! 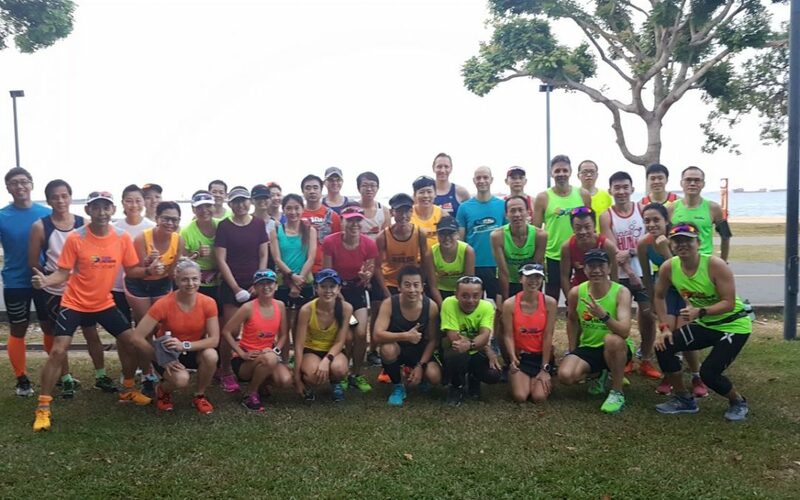 The Kookaburra trainees showed up for their third group long run with Team FatBird on a Saturday evening. 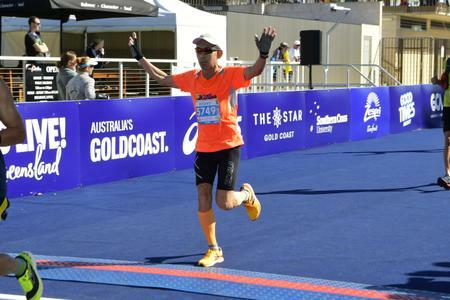 With 6 weeks to go before the Gold Coast Airport Marathon (GCAM), it was a trial of sorts to see where they are up to in terms of conditioning and readiness for the golden race. 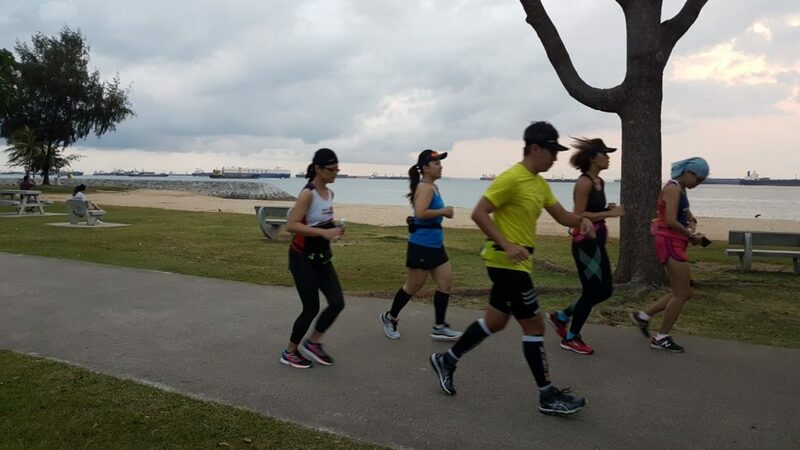 The mainly Full Marathoners managed a good Marathon Pace run from Marine Cove to Marina Promontory and back for a 21km pit-stop, before extending for another 5-9km for a solid 28-30km paced run. The weather was warm and humid in spite of the evening breeze along the coast. The Kookaburras took this opportunity to practice their fuel and hydration plans to nail down areas for improvement ahead of race day. 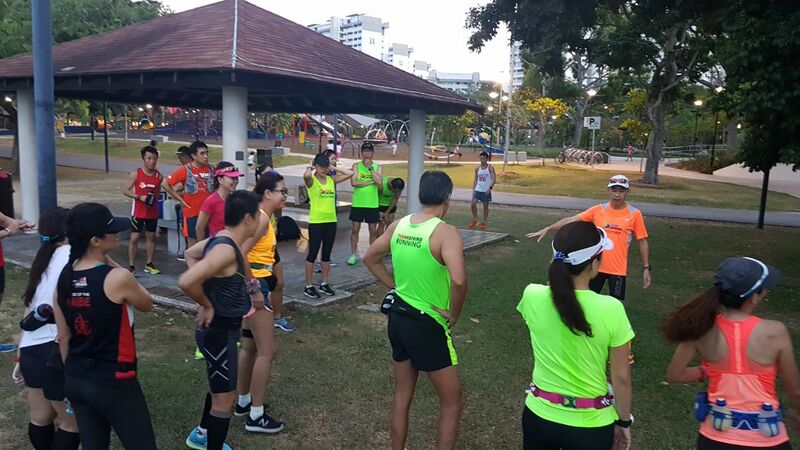 There were questions on how to stave off cramps, building up sufficient weekly mileage for goal timings, dressing up for cool weather running and injury prevention during the post-run debrief. 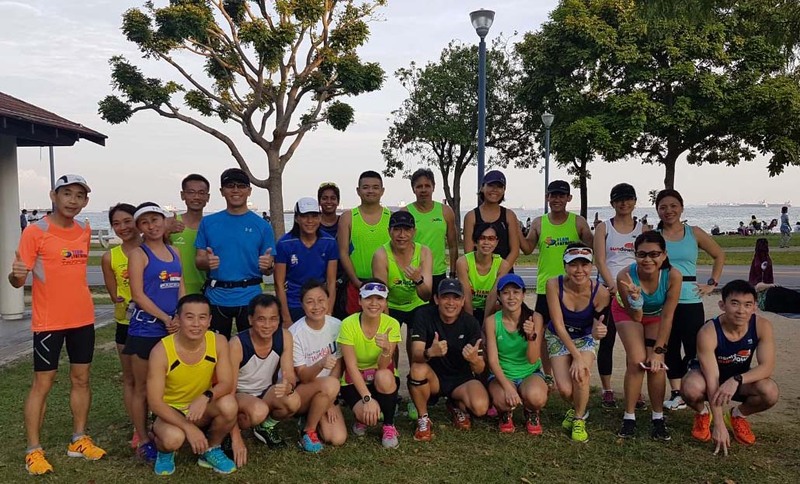 The Kookaburra trainers, many of whom will be traveling to Gold Coast themselves, provided good guidance during the run and also answering most of the trainees’ concerns. The entire training session was wrapped up in 3hours in what was an important mid-point milestone for the Kookaburras in their preparation journey on the road to GCAM 2017. From their progress thus far, the trainers are quietly confident that the Kookaburras are on their way to Personal Bests come 2 July. Run For Good Times HERE! In weekend #4 of PowerFLIGHT buildup, the trainees were given a delightful treat of hills loops and repeats at the monster hills region of Mt. Faber and Labrador Park. A brief respite was provided when we encountered thundery rain at the Labrador Hill slopes, where we have already completed the first part of the Monster Hills challenge. Although tired out by the rather steep climbs, the PowerFLIGHT tribe was in high spirits and raring to go to the next hills challenge at Mt. Faber Loop. 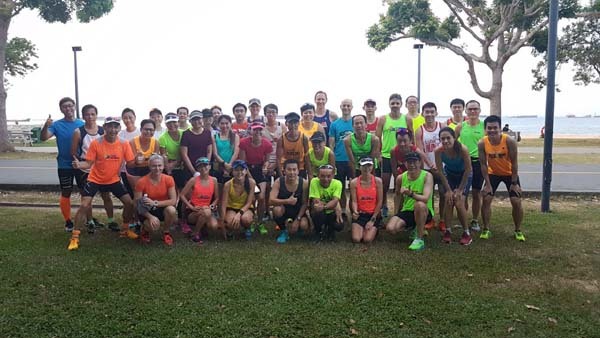 The focus of this weekend’s long stead-state run was to build upon the speed training of the past weeks to hone the trainees’ running economy progressively. 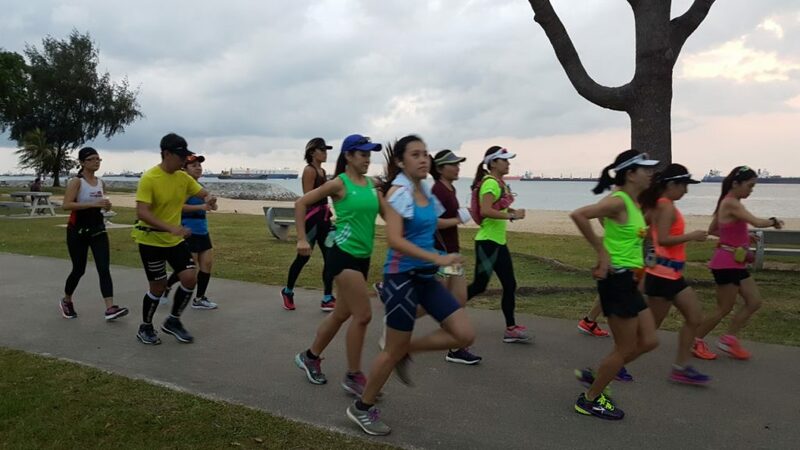 All the participants are already running more relaxed and with better running form, which will go towards improving their running economy for better running timings at races. The 2-3 loops of Mt. Faber’s 1.6km rolling hills provided the challenging workload of the morning, especially after the Labrador Hills segment. The PowerFLIGHT trainees gamely faced the challenge positively, completing the tough workout with nary a complaint. As a reward for hitting the key training objectives, the PowerFLIGHTers were given a shorter route back to the ClubHouse to end the training well within regulation time. 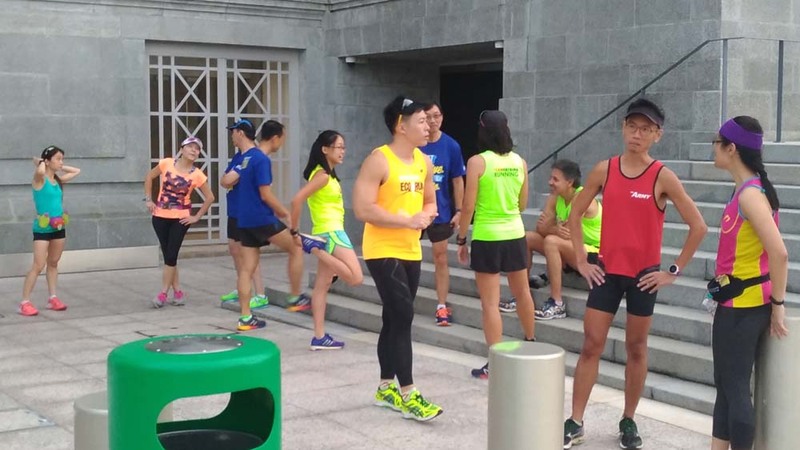 The session’s post-run briefing emphasized on doing the necessary stretching and active recovery procedures after each training workout, and how maintaining an injury-free condition and executing recovery runs properly are so important towards the long-term running economy and race-ready condition of marathoners. We look forward to next weekday’s Trackwork and weekend’s Trail Hills Mix as we Power On in our Flight towards marathon Personal Bests.